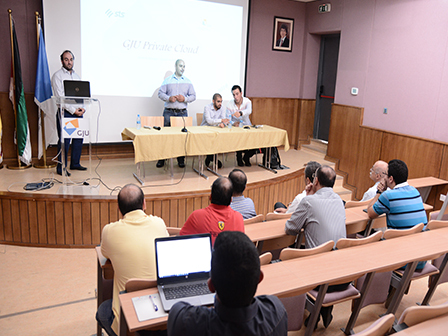 The German Jordanian University launched the first of its kind technology center based on Cloud Infrastructure as part of OSSCOM project that is funded by the EU-Tempus. The technology center aims at providing an open source technology environment to support establishing communities of expertise in the domain of open source software and help young entrepreneurs in the business acceleration process. OSSCOM promotes cooperation with local firms in particular and the community in general. It also provides seeds for stronger cooperation between universities and industry.